Reveille Coffee Co. in San Francisco, California recently opened a brick and mortar location as a companion to their Financial District coffee truck. The cafe, by brothers Christopher and Tommy Newbury, offers ample seating, a front patio and a food offering that adds dinner options to the already-established breakfast and lunch menus. 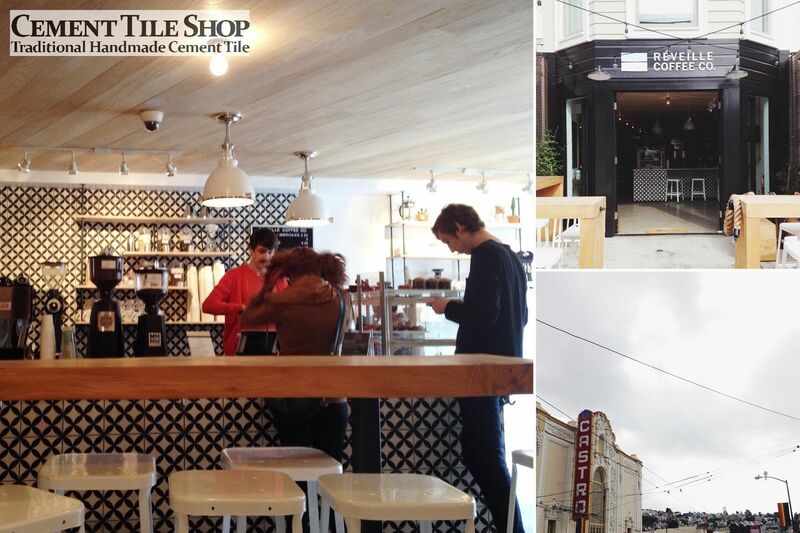 Our Circulos White pattern was used to create a refreshing, warm, welcoming look to the popular coffee shop. 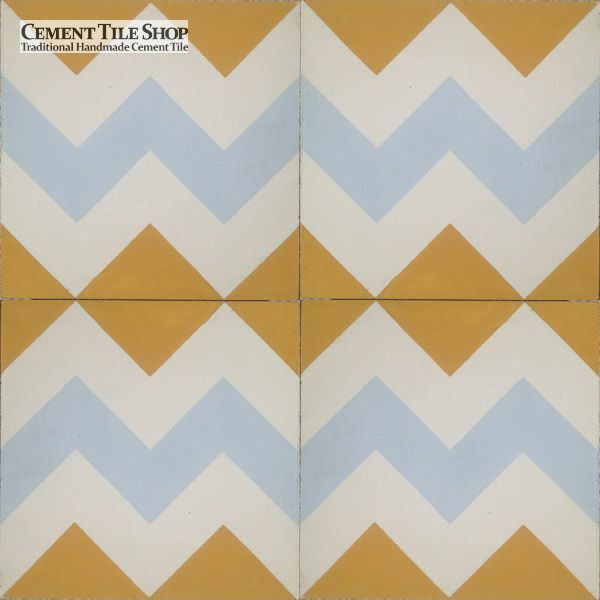 This classic handmade cement tile color combination is in-stock in both 8″ x 8 (as pictured) and 12″ x 12″ sizes and is ready to ship. Multiple color combinations are available or they may be customized to your taste. 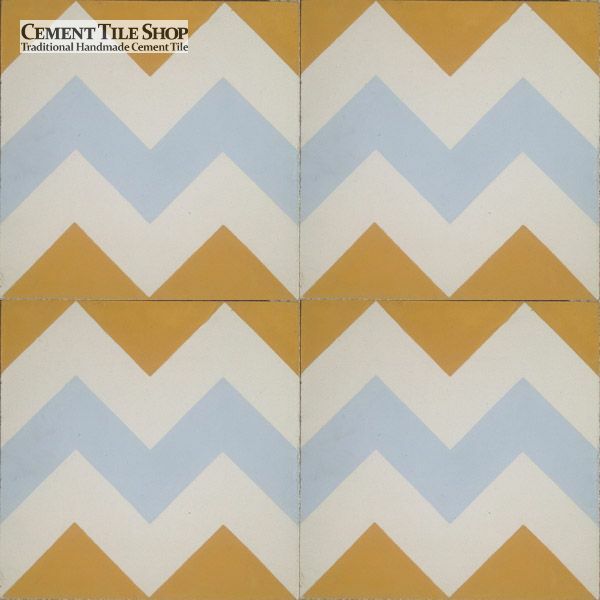 Contact Cement Tile Shop at (800) 704-2701 for more information or to order! Who doesn’t love a great zig-zag pattern? 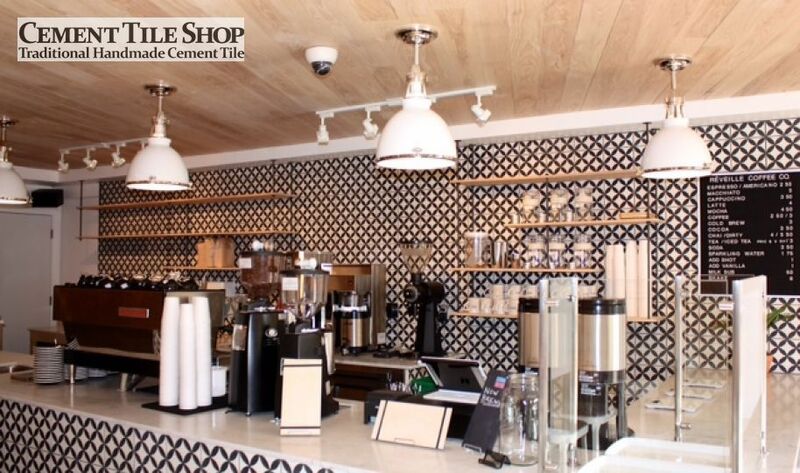 We were thrilled to receive a picture from a customer in Jackson, Wyoming of our Chevron Black pattern. It was used to take the look of their utility room to a whole new level. We wouldn’t even mind doing laundry in this space (did I just say that???). 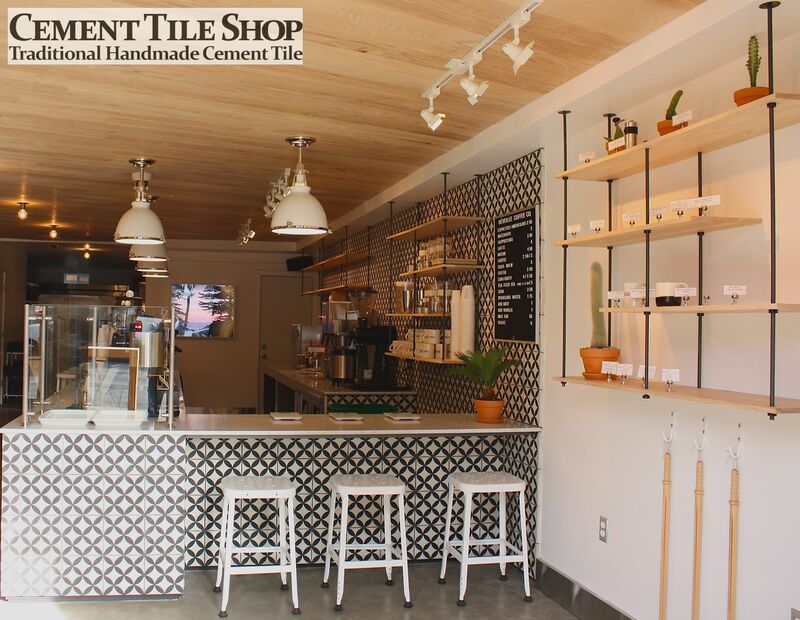 The chevron pattern has become an increasingly popular design and accent feature in decorating the last few years, but this use of our handmade cement tile on the floor really stands out. 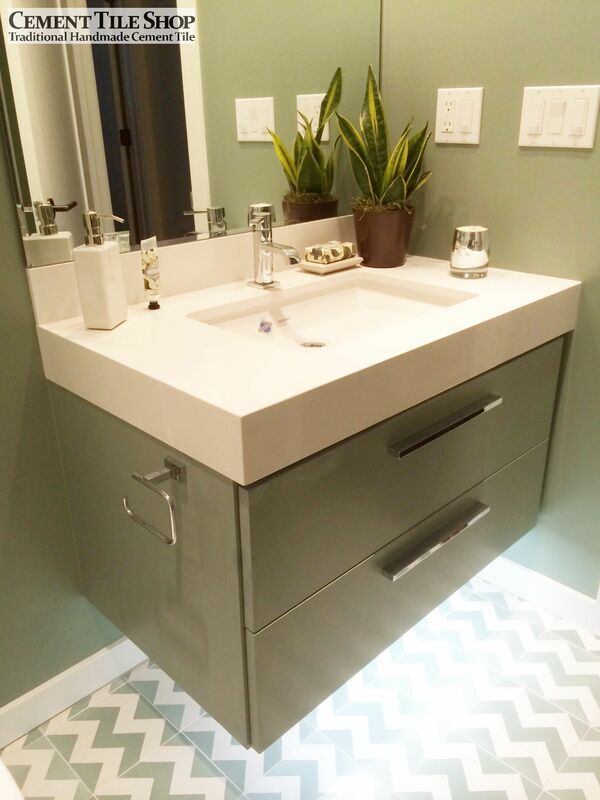 The chevron tile pattern can be customized in any colors of your choice although the black/white and sage/white (see below picture by Nicole Chouinard Color and Design ) color options are in stock and ready to ship. The pattern also takes on a whole new look when more colors are added. Check out our Chevron Multi pattern. 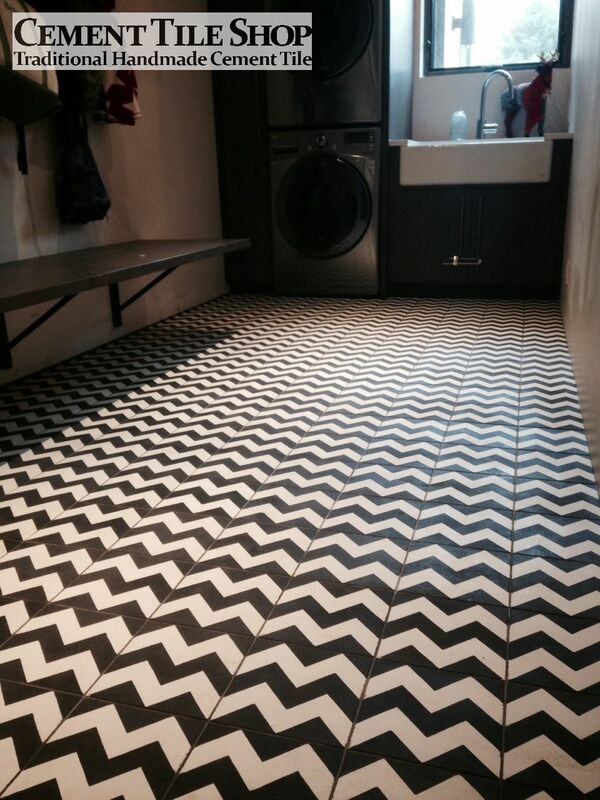 Or the tiles are arranged in a different direction. 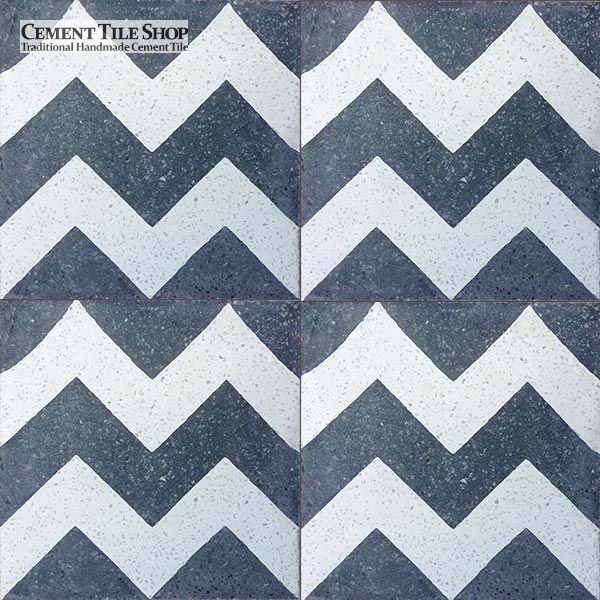 We can even make the chevron pattern in our handmade terrazzo tiles for a completely different look. Here is our Chevron Black Terrazzo.